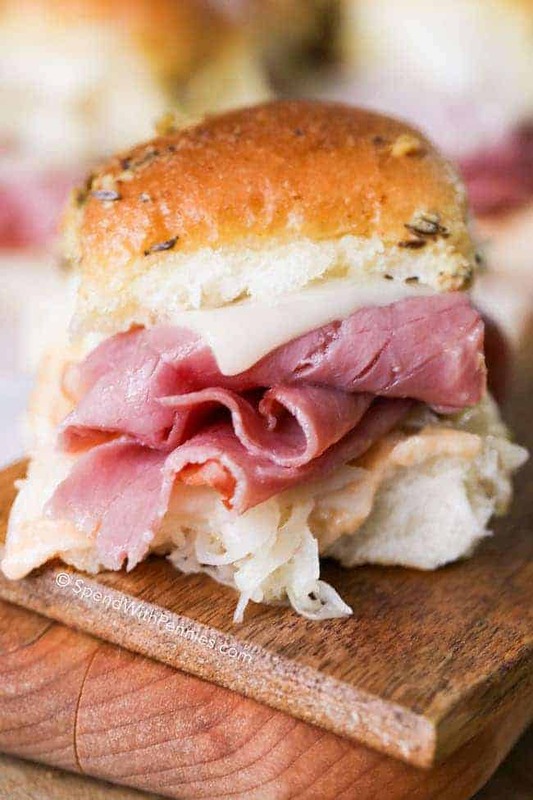 Reuben Sandwich Sliders make the perfect party food or easy weeknight dinner! 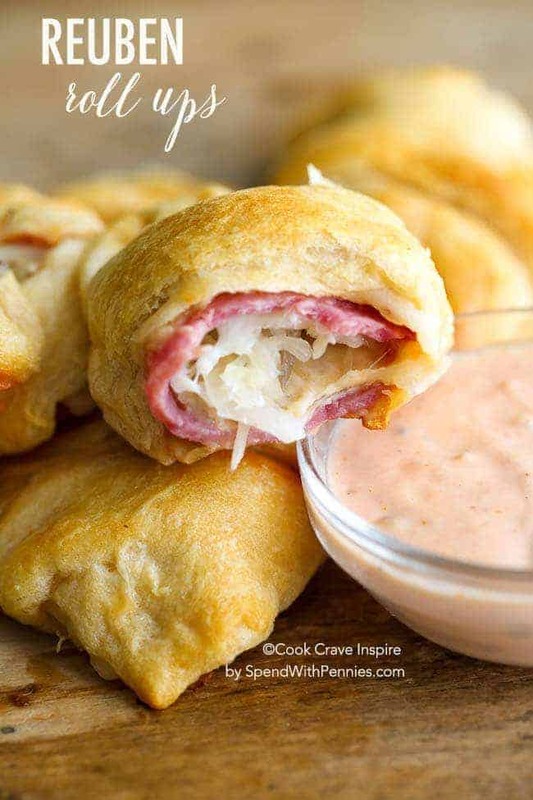 Dinner rolls are loaded up with all of your favorite Reuben sandwich fillings, topped with a seasoned buttery topping and baked until warm and melted. 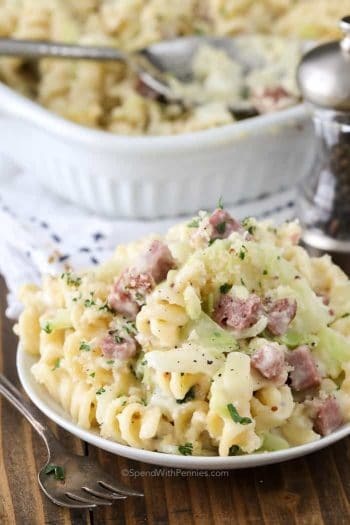 This is going to be your go-to party dish! 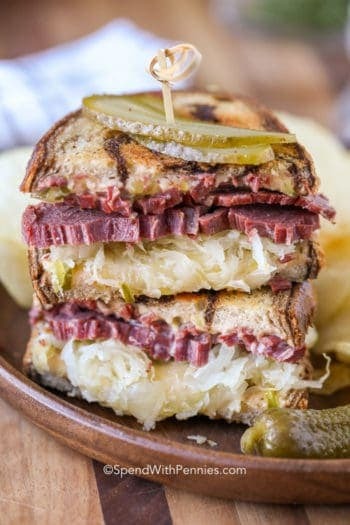 I love a good Reuben sandwich. Rye bread loaded with dressing, swiss cheese and sauerkraut and cooked in a pan until perfectly grilled. 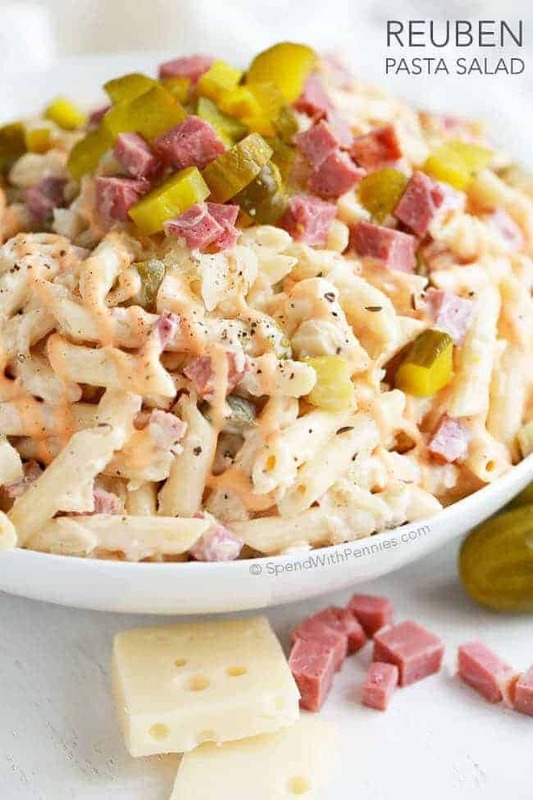 Those flavors together just blend so well and make the perfect sandwich or even pasta salad. 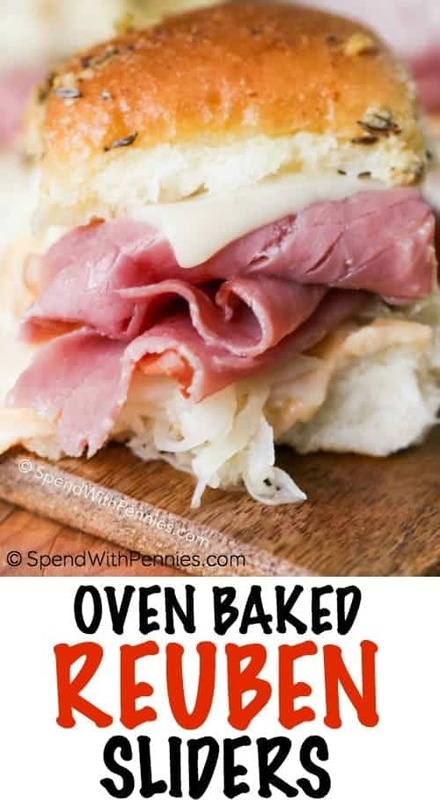 While I love a good grilled Reuben, they’re not exactly the easiest meal to make for a big crowd or party…. until now that is! 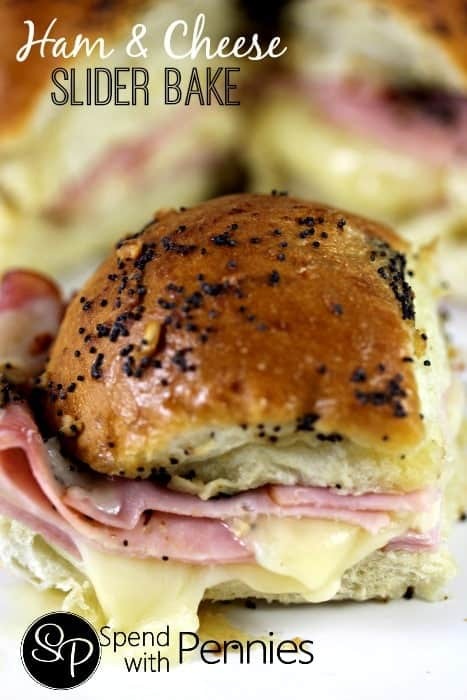 I was going to make our usual Ham & Cheese sliders for a party when I thought, why not switch it up a bit. I’m so glad I did, these will definitely be a regular item on my party menus! 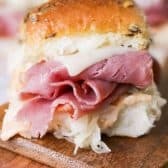 This recipe takes the amazing reuben flavors you love, layers them in slider rolls (or dinner rolls) and bakes them until they’re warm and the cheese is melty. 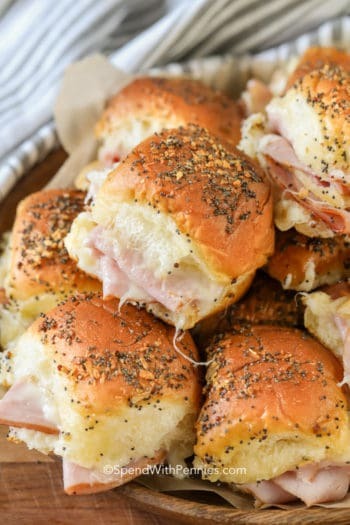 The tops of these rolls are brushed with a deliciously seasoned butter taking these sliders from great to absolutely amazing! The best part is that while these are easy to prepare, they can be made hours in advance (even before any guests arrive) and just popped into the oven before eating. 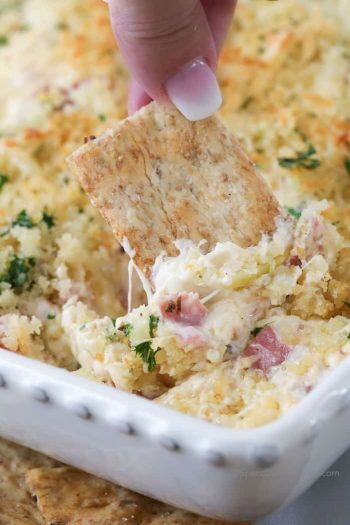 While these make a great party dish, they also make a quick and easy weeknight meal. We serve them with either a side salad or veggies and dip for the perfect dinner between homework and practice! 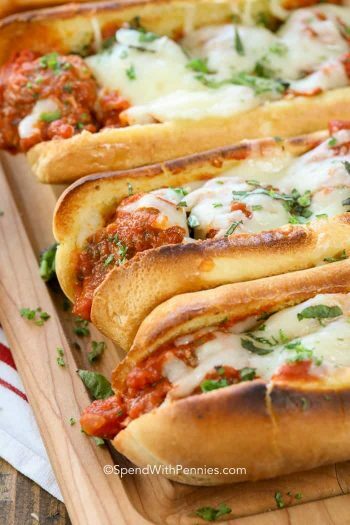 My kids love them and they reheat perfectly should you be lucky enough to have any leftovers! 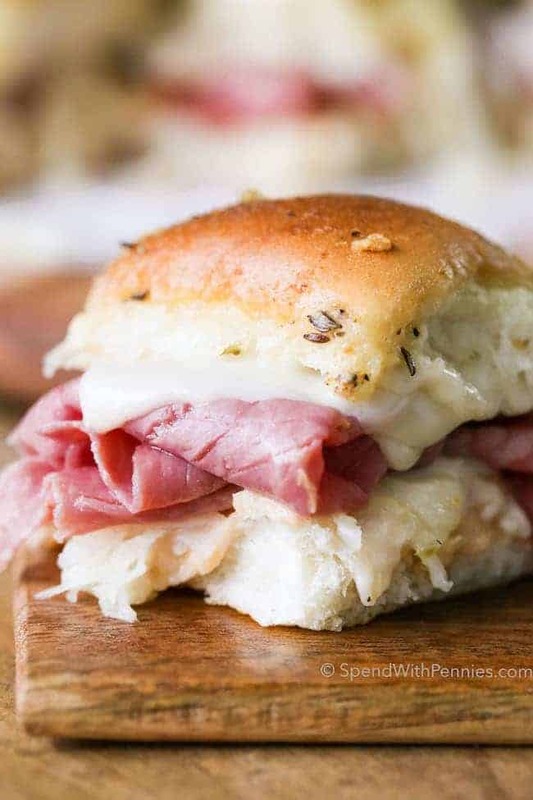 Reuben Sandwich Sliders make the perfect party food or easy weeknight dinner! 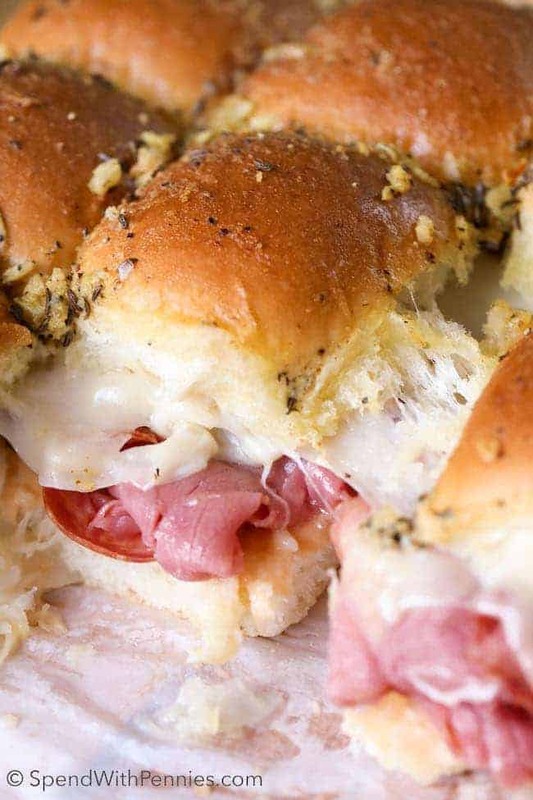 Dinner rolls are loaded up with all of your favorite Reuben sandwich fillings, topped with a seasoned buttery topping and baked until warm and melted. Cut the rolls in half separating the top and bottom. 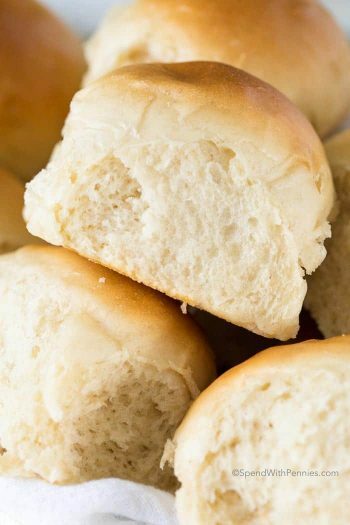 Place the bottoms of the rolls in a 9×13 pan (I line with parchment paper for easy removal). Top with the other half of the rolls and gently spoon or brush the butter mixture overtop. Bake about 20-25 minutes or until the cheese has melted and the tops are lightly browned. Serve warm.